Good news for anyone on the look out for a new Gabicci top – new designs are now available for 2008 and you can buy them directly from the company online. 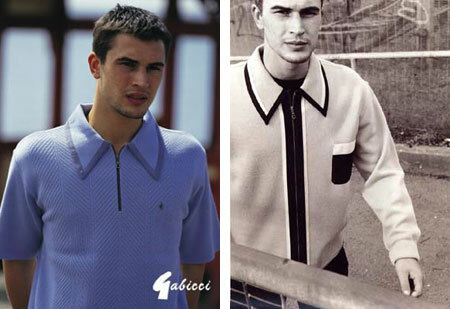 The designs above are from the new Gabicci ‘G’ range, based on vintage Gabicci items. There’s around eight short-sleeved knits and 11 long-sleeves, alongside other items, including shits and t-shirts – the latter being pretty hideous to be honest. Prices vary for the short-sleeved knitwear from £50 to £70, with the long-sleeved knitwear retailing for around £75.